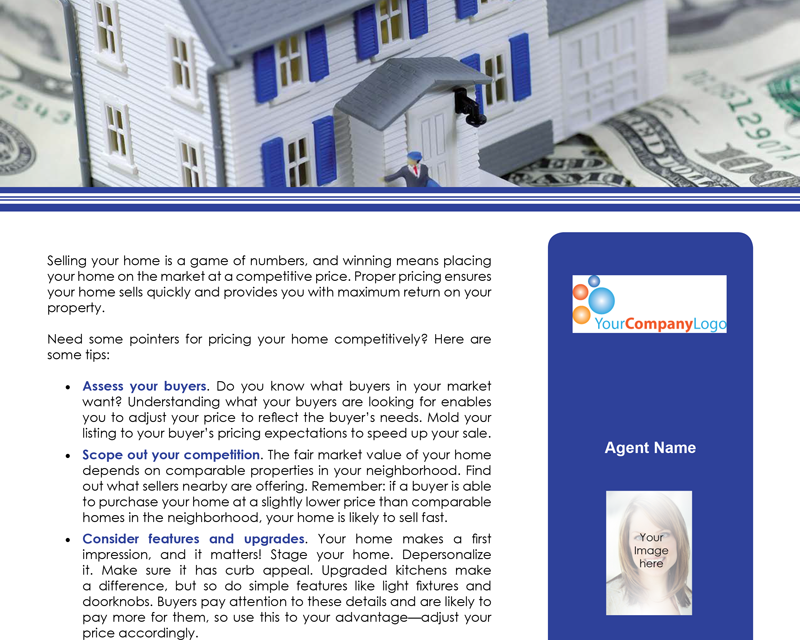 Selling your home is a game of numbers, and winning means placing your home on the market at a competitive price. 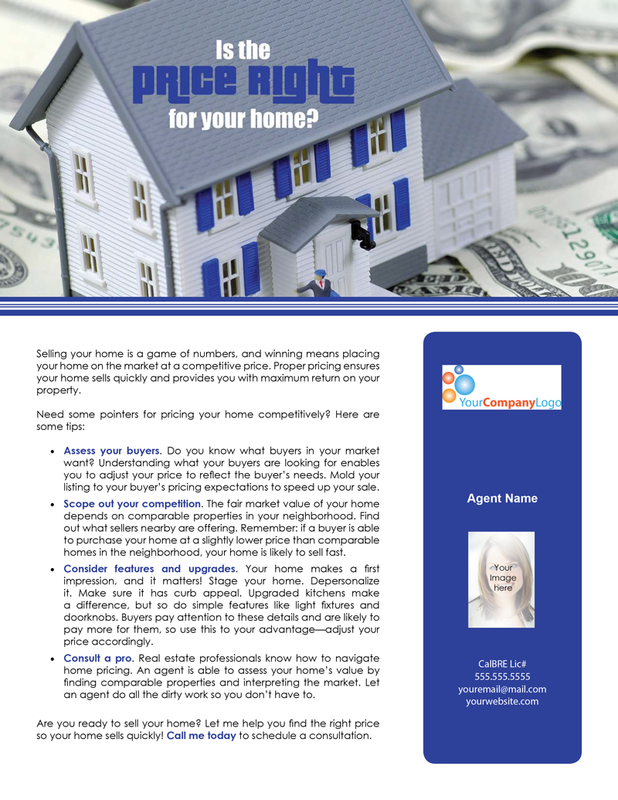 Proper pricing ensures your home sells quickly and provides you with maximum return on your property. Assess your buyers. 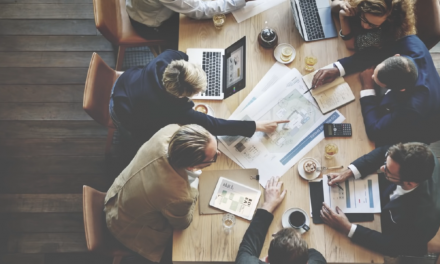 Do you know what buyers in your market want? Understanding what your buyers are looking for enables you to adjust your price to reflect the buyer’s needs. Mold your listing to your buyer’s pricing expectations to speed up your sale. Scope out your competition. The fair market value of your home depends on comparable properties in your neighborhood. Find out what sellers nearby are offering. Remember: if a buyer is able to purchase your home at a slightly lower price than comparable homes in the neighborhood, your home is likely to sell fast. Consider features and upgrades. Your home makes a first impression, and it matters! Stage your home. Depersonalize it. Make sure it has curb appeal. Upgraded kitchens make a difference, but so do simple features like light fixtures and doorknobs. Buyers pay attention to these details and are likely to pay more for them, so use this to your advantage—adjust your price accordingly. Consult a pro. Real estate professionals know how to navigate home pricing. An agent is able to assess your home’s value by finding comparable properties and interpreting the market. Let an agent do all the dirty work so you don’t have to. Are you ready to sell your home? Let me help you find the right price so your home sells quickly! Call me today to schedule a consultation. NextFARM: Applying for a mortgage?